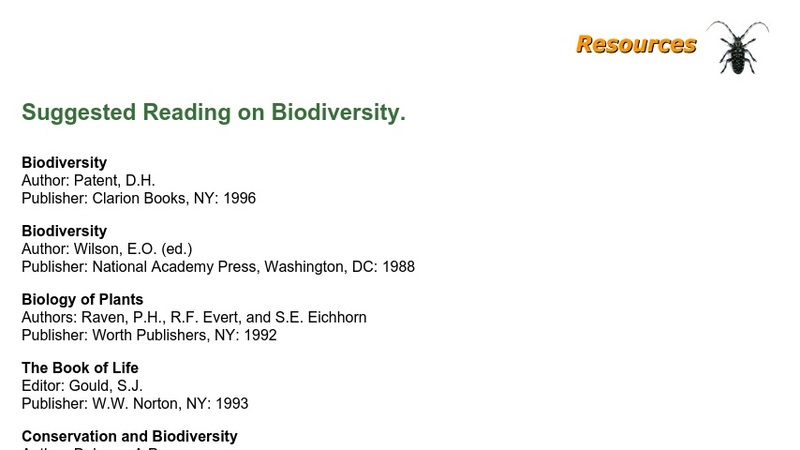 This reference list has more than 25 books on biodiversity. For each title, the book's author, publisher, and publication date are given. The diverse list includes broad introductions to biodiversity, insightful looks at evolution and extinction, examinations of the partnership between insects and flowers, portraits of vanishing species and explorations of the factors contributing to a global biodiversity crisis.